Monday 8 to Saturday 13 February 2016 Mon-Thurs 8.30-16.30 | Fri 8.30-15.30 | Sat 8.30-11.30 Fantastic discounts across our entire range of products. Not-to-be-repeated CLEARANCE offers. Sign up to our PYOP mailing list for more details as they are released! Potclays has been alerted to a number of fraudulently obtained brand new Shimpo potters wheels for sale on sites such as Ebay. 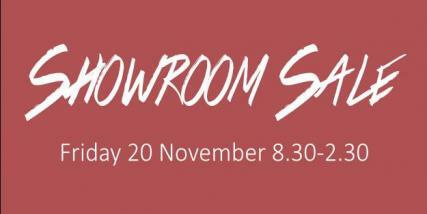 The sellers seem to be based in the Essex/Ipswich/London area. 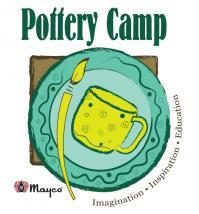 WE STRONGLY ADVISE YOU TO CONTACT POTCLAYS BEFORE PURCHASING. If you have bought a new Shimpo or Rohde wheel via Ebay during the past month then please get in touch. 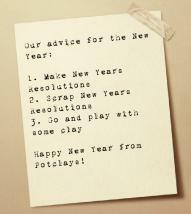 Please contact our company director James Otter on 01782 219816 or at james.otter@potclays.co.uk. 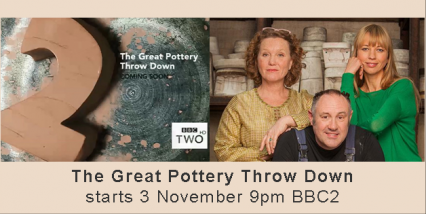 The Great Pottery Throw Down starts 3 November!